Timber supply shortages driven by the Mountain Pine Beetle infestation in British Columbia have triggered West Fraser Timber to cut production at two BC mills; a study by ForestEdge and Wood Resources International predicts that Eastern Canadian wood production will support Canadian lumber exports to the US in the next decade; and Unifor’s Stephen Boon says the Canadian government needs to press Trump to remove lumber tariffs. As California copes with the most recent wildfires, the BBC debunks five common wildfire myths; Tree Canada assists in replanting Ontario trees destroyed by recent tornadoes; and Georgia governor Nathan Deal has proposed tax credits to encourage landowners to replant post-hurricane. And, a new green building code has been released in the US. Canada will continue to be a major supplier of softwood lumber to the US in the next decade, with the export volume from the Eastern provinces being forecasted to increase substantially, according to a study by ForestEdge and WRI. The softwood sawmilling sector in Eastern Canada will play an increasingly important role as a key supplier to the growing US lumber market in the future, according to a new study. The increasing lumber consumption in the US will also likely result in increased investments in production capacity in the US, changes in Canadian lumber trade flows, a rise in overseas supply, and upward pressure on sawlog prices. VANCOUVER – Today West Fraser announced it will permanently curtail approximately 300 million board feet of combined lumber production at its Fraser Lake and Quesnel Sawmills. The curtailment will be realized through the elimination of the third shift at each sawmill. The reduction in lumber production is expected to impact approximately 60 employees at Fraser Lake and 75 employees at Quesnel Sawmill over the first and second quarter of 2019. The Company expects to mitigate the impact on affected employees by offering them work opportunities at other West Fraser operations. British Columbia faces a well‑documented timber supply shortage owing to the devastating Mountain Pine Beetle infestation. In anticipation of this decline, West Fraser has invested in excess of $500 million in its B.C. assets to improve the safety and competitiveness of its mills to attain maximum value from the available timber resource. Today’s decision better aligns West Fraser’s production with current timber supply. Woodlands County Council received an update from a representative of Miller Western Forest Products regarding haul routes and road maintenance. Lyle Battenfelder, director of finance at Miller Western and Brian Colbourne, operations Supt. at Miller Western, provided council with updates regarding new ownership under Atlas and a project regarding a new crane. …Woodlands County council members expressed concerns they have received from local residents regarding unsafe driving by the company’s log trucks. …Colbourne said that in the last few years, Miller Western has issued GPS units in their log trucks. “It gives us a better ability to track the offenders when we get calls,” he explained. Even though Canada and the United States have reached a new trade deal, 20% softwood lumber tariffs remain in place. Unifor Local National representative Stephen Boon is urging the Canadian government to continue pressing the Trump administration to remove the tariffs. Boon says “we definitely need to get that corrected and I know that’s being processed under Chapter 19 of the new NAFTA deal that has a dispute mechanism where it’s clearly not legal under the rules.” Fortunately, Boon says right now actual mills are still doing fine despite the duties. He says lumber prices are at historic levels, housing starts are at record highs and the Canadian dollar remains in the high 70 cent range. Gov. Nathan Deal proposed $200 million worth of income tax credits Tuesday for landowners in southwest Georgia as incentive for them to replant trees destroyed last month by Hurricane Michael. The tax break was part of Deal’s package introduced as state lawmakers convened a special session designed to help fund the cleanup and rebuilding of southwest Georgia after the storm. “We have some important work to do today and this week,” House Speaker David Ralston, R-Blue Ridge, told his chamber as it opened for business. The tax break would aid both timber and pecan farmers who saw their trees destroyed by the storm. State officials said losses from the storm in the agriculture industry alone could reach nearly $3 billion. The International Code Council has released the 2018 edition of the International Green Building Code (IgCC), developed in collaboration with the U.S. Green Building Council, the American Society of Heating, Refrigerating and Air-Conditioning Engineers (ASHRAE) and the Illuminating Engineering Society. …According to the most recent available data from the ICC, 14 states plus Washington, D.C., have at least one jurisdiction that has incorporated previous versions of the IcGG. …Last month, the leadership moved forward 14 proposed code changes that would allow wood high-rises to be built as high as 18 stories and that would put three new types of construction on the books. …The full membership is currently voting on the change… How many of the jurisdictions that now use the IBC as a model for their own regulations will adopt the tall wood codes is another matter since some view tall wood construction as a potential fire hazard. VICTORIA, BC – Indigenous communities have long been stewards of the environment, and the Government of Canada shares their commitment to conserving and protecting Canada’s nature, our diverse ecosystems, and species at risk. Today, the Minister of Environment and Climate Change, Catherine McKenna, announced that 28 Indigenous projects have been selected for early funding totalling just under $5.7 million as part of the Indigenous Guardians Pilot Program. The Pilot Program recognizes Indigenous Peoples’ rights and responsibilities to the land, waters, and ice of their traditional territories and provides support for environmental conservation. The federal government is supporting First Nation, Métis, and Inuit communities in their stewardship work to protect sensitive areas and species, monitor ecological health, and maintain Indigenous cultural sites. This funding will support new and existing Indigenous guardians programs across Canada. The Williams Lake Community Forest is launching a new Community Granting Program with the goal of distributing funds in 2019. This will be an annual program aimed at providing support for community enhancement projects for areas surrounding the community forest. Last Friday at a regular meeting with management and most of the nine-member Select Standing Committee (SSC), final arrangements were discussed related to the disbursement of funds from the profits generated by the Williams Lake Community Forest (WLCF). As set out in the regulations and bylaws of the WLCF, at the end of every five-year cut control period, five per cent of the net profits will be deposited in a special account for disbursement back to the community through a Community Granting Fund. The City of Quesnel has received a $367,000 Rural Dividend grant from the Province to support its forest management plans, and help it build upon the manufacturing sector in the region, according to a Ministry of Forests, Lands, Natural Resource Operations and Rural Development news release. The funds will be used to implement recommendations from the Quesnel Future of Forestry Think Tank, which was held in Quesnel in May 2018, and to investigate new opportunities for forest management and forest products manufacturing. Since the spring Think Tank session, Quesnel mayor Bob Simpson, as well as City Council members, have been pushing the agenda provincially and federally, including at September’s Union of British Columbia Municipalities (UBCM) convention in Whistler, B.C., and during a trip to Victoria and Ottawa. Tree Canada, a national not-for-profit tree-planting charity, is hoping to replace as many trees as possible in the Ottawa-Gatineau area following the devastation caused by the half dozen tornadoes that touched down in the area almost eight weeks ago. The organization’s #OperationReLeaf program is working in conjunction with the cities of Ottawa and Gatineau to provide funding for homeowners, landowners and institutions to replace destroyed trees. To reach that goal, Tree Canada is encouraging individuals and businesses to make donations. An estimated 1,500 trees in Ottawa were destroyed in the Sept. 21 tornadoes, while a spokesperson for Tree Canada says the group hopes to plant about 500 trees, approximately one for each affected property. Myth #1: Regularly logging forests prevents forest fires… Myth #2: There is nothing you can do to protect your property… Myth #3: Wildfires are an inevitable fact of nature… Myth #4: All wildfires are bad and must be quenched immediately… Myth #5: It is possible to eradicate (or control) all wildfires. California’s recent spate of devastating conflagrations have little, if anything, to do with overgrown forests — and everything to do with climate change, drought and harsh weather conditions, according to forestry experts. That was largely lost in the political jabs this weekend after President Trump attacked California…Democrats and firefighting officials quickly went on the offensive, blasting Trump’s comments as insensitive amid the devastation. . …However, largely missing from the debate was the fact that the most destructive fires in the state did not start in densely wooded areas. … Such fires result from bone-dry conditions and high winds, said Helge Eng, deputy director of resource management Cal Fire. “We’re still recovering from a five-year drought, and with not a lot of precipitation this year, so with high winds, you get these catastrophic fires,” he said. The amount of taxpayer money “mulched” in an abortive pine planting project can now be revealed – a staggering $160,000 worth of seedlings were destroyed. The figure reveals the cost of pine seedlings ordered for the One Billion Trees scheme this year but not used. 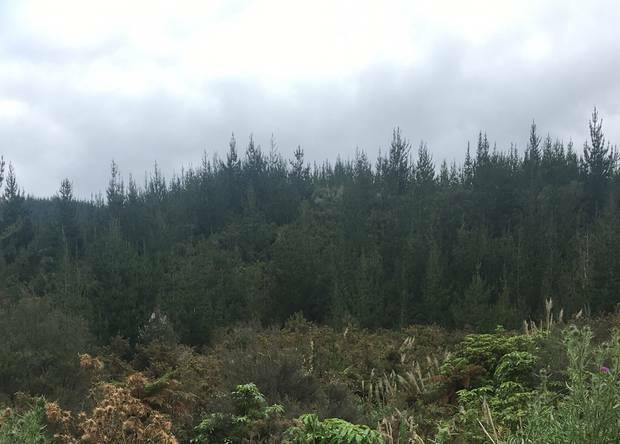 The NZ Herald revealed the Government’s joint venture plan with the Ngati Hine Forestry Trust hit a glitch after ordering pine seedlings to plant 1100 hectares this year. When the land was found to be choked with scrub, the number of hectares plunged and just 191,000 pine seedlings were planted out of the 1.2 million ordered. Forestry minister Shane Jones’ office confirmed the cost to taxpayers. “Of the seedlings left, half were distributed to other joint ventures and half were mulched,” a spokeswoman said. “The estimated cost of the unused seedlings is about $160,000.” For that money, the government could have funded 40 cataract operations or eight full hip replacement surgeries. Harvesting of native forests is opposed by Australians, including in rural and regional communities, with support on a par with extractive industries such as coal seam gas, according to a report commissioned by a timber industry group. The study, compiled by three University of Canberra academics for Forest & Wood Products Australia (FWPA), surveyed perceptions of the forest, wood and paper sector, according to a draft copy leaked to the Herald. “[T]he findings suggest that native forest logging is equated by many Australians with depletion or ‘mining’ of resources, as it is clustered with coal-seam gas extraction and open-cut mining in terms of acceptability,” authors led by Dr Jacki Shirmer said, summarising that there is a “very low” social licence for such logging. The research was based on data collected in 2016 for a Regional Wellbeing Survey, including more than 11,500 rural and regional respondents. Climate change isn’t the only thing that will be heating up cities in the future — urbanization hikes temperatures too. A new study led by a University of Guelph researcher looks at… whether it’s possible to design urban areas to mitigate the heating from both effects. For example, roofs could be built with reflective materials that bounce solar energy back into space. …And cities could plant more trees along streets to reduce the amount of heat stored by roads. They found that if those measures were applied consistently across entire cities while cutting greenhouse gas emissions to reduce climate change, daytime temperatures could be kept in check. 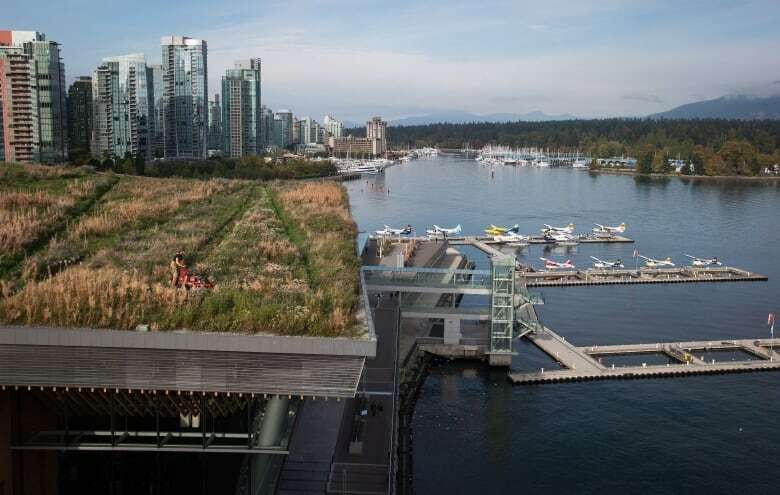 …The only things that made a small difference to nighttime temperatures were green roofs, and switching from building materials like concrete, brick and asphalt to materials that don’t absorb heat well, such as wood. The Climate and Land Use Alliance released a statement from 40 scientists that argues that the preservation, restoration and sustainable management of forests is critical for limiting the global temperature rise to 1.5°C above preindustrial levels. In response to the Intergovernmental Panel on Climate Change (IPCC) Special Report on Global Warming of 1.5ºC (SR15), the scientists highlight five reasons. …First, the scientists emphasize that the world’s forests “contain more carbon than exploitable oil, gas and coal deposits” and that “avoiding forest carbon emissions is just as urgent as halting fossil fuel use.” Second, the scientists highlight the role of forests in removing carbon dioxide from the atmosphere through photosynthesis. …Third, the scientists explain that achieving the world’s 1.5°C goal will require “massive” forest restoration to remove excess carbon dioxide from the atmosphere.